Richard Fourie’s mount Green Archer who contests Race 7 and top event, a MR 84 Handicap over 1600m, can start the new season on a high note. 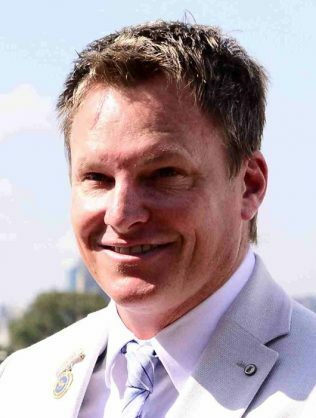 Champion trainer Justin Snaith has a good chance to start the new season on a high note at Durbanville today when sending out some bright prospects on the eight-race card. One such is Richard Fourie’s mount Green Archer who contests Race 7 and top event, a MR 84 Handicap over 1600m. This three-time winner struck top form in his last two outings over 1600m at Kenilworth, scoring smartly under 60kg in a MR 68 Handicap. Then carrying a similar weight and having the worst of the draw, the four-year-old ran on strongly from a slow start to win by an increasing length. With in-form Fourie aboard this time and dropping to 56kg, the gelding should complete the hat-trick. Green Archer’s chances will probably be improved by the scratching of Gyre and Tsitsikamma Dance, but Loadshedder and Ben-Hur look best of the remainder. Other Snaith-trained contestants worth following are Margrethe (Race 2), Forest Prince (Race 4) and Omega Force (Race 8). Margrethe looks a standout bet in a Maiden Plate (F&M) over 1250m. This three-year-old was a runner-up on debut and followed up with a fourth over 1000m at Kenilworth again. The filly returns refreshed after a short break and with top-flight Fourie called on the combination is unlikely to miss. One-time winner Forest Prince (Fourie) can defy top-weight in a 1250m MR 70 Handicap. This four-year-old was a bright second in his penultimate outing and followed up with another stout effort when coming from last out of 14 to finish a 1.55-length sixth over 1000m again. The extra distance should see the gelding in the winner’s enclosure this time. Four-year-old Omega Force has been threatening a second win for a while but her turn could come this time when teamed up with Fourie in a MR 72 Handicap (F&M) over 1400m. This one-time winner has given an indication she will like the step up in distance and the booking of Fourie for the ride could see the filly repay her followers.